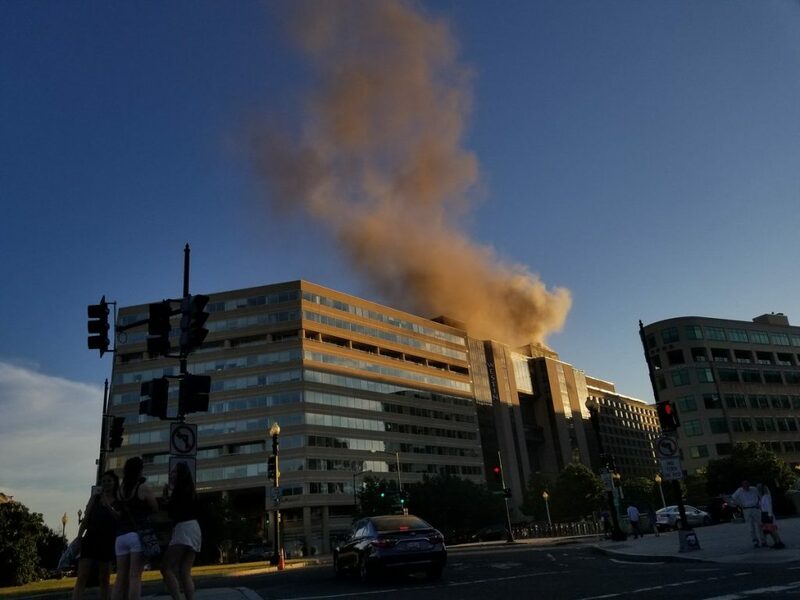 Working fire Westin Hotel on Thomas Circle NW. Smoke showing. Possible fire on roof. Bldg being evacuated.